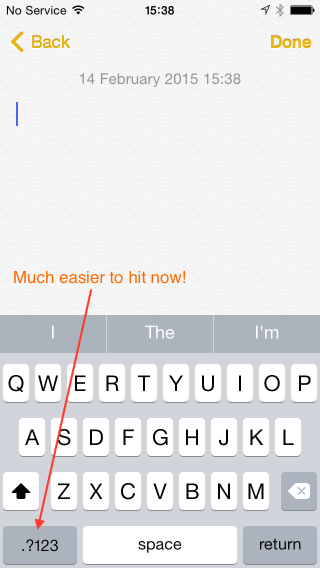 This isn’t a quick tip saying to install SwiftKey Keyboard app, as I’ve tried that and didn’t see much improvement over the built-in iOS 8 keyboard. This tip improves the space you have to switch to and from the numeric keyboard – which you constantly need to do – on the iOS 8 iPhone keyboard, and thus makes typing a lot easier. 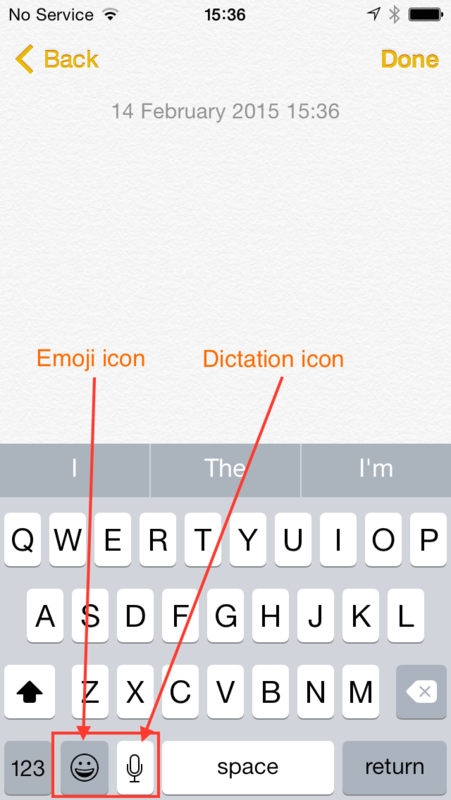 So here’s how to remove both the dictation icon and the Emoji icon. 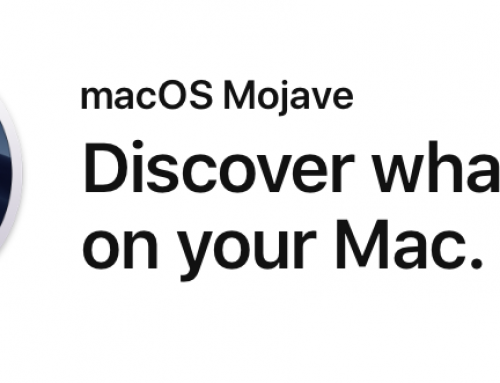 Now when you see the on-screen keyboard, both of the annoying icons are gone – Emoji and Dictation – and the button to switch to numeric keypad is much bigger, to fill the extra space. Job done!